From the effects of the sun to the environment we live in – we’re constantly facing daily aggressors that can damage our skin. 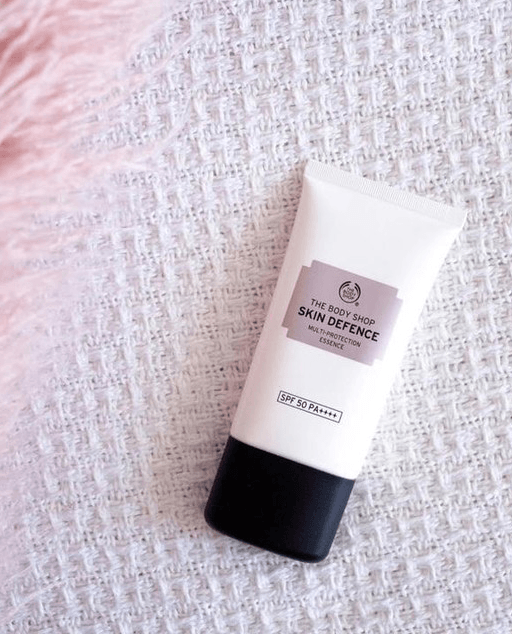 Meet Skin Defence Multi-Protection Essence SPF 50 PA++++, Body Shop’s strongest multi-protection to help protect your skin day after day. You will receive a 5ml deluxe sample of Body Shop’s Skin Defence Multi-Protection Essence SPF 50 PA++++. A feather light, milk-to-water essence with broad spectrum UV filters, brightening red algae and Vitamin C, to help protect skin against multiple skin aggressors, while providing utmost comfort. *One sample per customer. Subject to availability. Selected stores only. Code must be redeemed by Monday 13th August 2018.